If your child has a difficult time paying attention, especially when they are not on a flat screen, you are not alone. This has become a problem that has been escalating at an alarming rate over the last three decades. Guess what else has escalated over the last three decades? Yes, you guessed it, more and more flat screen usage at younger and younger ages. This is causing children’s brains to wire up differently, especially during those first five years when the brain is wiring up at warp speed. 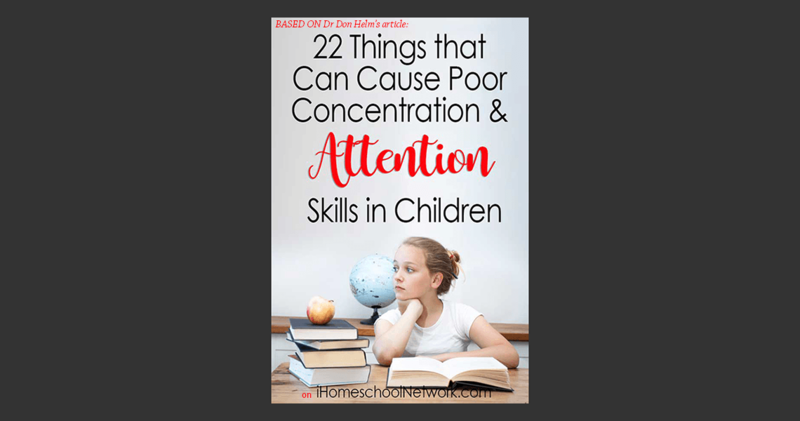 Before I tell you some of the many things that can cause a child to have problems with attention and concentration, I want to tell you how attention skills are defined and my newly added definitions. How are Attention Skills Currently Defined? Sustained Attention. The ability to attend to a task for extended periods of time without losing focus or concentration. Selective Attention. The ability to focus and concentrate on a task even when distractions are present. Divided Attention. The ability to divide focus between two tasks and complete them simultaneously. Alternating Attention. The ability to shift focus from one task another efficiently and effectively. Because our society spends so much time on flat screens, I have created four “new main categories” of attention skills. The above attention skills I consider to be subsystems of each of these main categories. I am going to list these categories from the least complex, to the more complex and demanding. Interested Screen Attention Skills can be measured by an individual’s ability to pay attention and concentrate when viewing a flat screen with content that is stimulating or interesting. Have you asked yourself the question “Why can my child focus and concentrate on a video game or watch a movie for hours and can’t listen to me when I am giving instructions or can’t stay on track when doing schoolwork or a chore? This attention skill is the least complex, even a three-year-old can demonstrate this. Interested Real-World Attention Skills can be measured by an individual’s ability to pay attention and concentrate in the real 3 – dimensional world about something that is very interesting to them or is novel and entertaining. For example; a parent that is giving a lesson on dinosaurs and the child has a great deal of interest and knowledge about dinosaurs. Or the parent is dressing up in a costume and using fun props or displays. Disinterested Screen Attention Skills can be measured by an individual’s ability to pay attention and concentrate when viewing a flat screen with content that is not interesting or stimulating to them. For example; Doing homework on their computer for a subject that they dislike. Paying attention to something you dislike or don’t understand is very difficult, even on a flat screen. If a child, teen or even an adult can’t make connections with their knowledge base and extract meaning out of the content, they will usually shift their attention to avoid the frustration and boredom. Disinterested Real-World Attention Skills can be measured by an individual’s ability to pay attention and concentrate in the real 3 – dimensional world about something that is not interesting or stimulating to them. This is the most difficult and complex attention skill to develop. Many children growing up did not get as much practice at developing this skill because of so much flat screen usage. A 3 – dimensional world has a broad focus. Being able to narrow your focus on what you must attend to, is more difficult than attending to the intensity (brightness, colors, etc.) of a flat screen. This is the type of attention skill we develop in our LAUNCH developmental programs. If this attention skill is developed, all the others are easy. Your child must develop good Real-World Attention skills if you want them to achieve all they are capable of, which I know you do. The ability to intrinsically or extrinsically motivate ourselves to get into the proper frame of mind or attitude for the task at hand. The ability to filter out irrelevant information and narrow our focus on the task at hand. A young child’s brain wires up the right way through interaction with the real 3-dimensional world. I feel too much flat screen usage for the first 5 years of life and less interaction with the real 3-dimensional world is the main culprit for the escalating problems with attention. Note: In most cases, children that did the least amount of computer activities in the first 5 years of life and had more real-life interactions will be better at technology later when it is more important. Many children today are starting and continuing through school with weakness in their Foundational Processing System. I believe this is mostly due to excessive flat screen usage in the early years. If a child has difficulty processing the information that is being conveyed effectively and efficiently, they will shift attention to something else internally (daydreams) or externally to avoid the frustration and boredom. The good news is the “Foundational Processing System” can be strengthened significantly. We all have a right and left brain hemisphere, connected by a thick band of nerve fibers called the corpus callosum. All of us use both brains for most tasks, but most of us have a dominant right or left brain, which determines a lot about our personality traits, strengths, and weaknesses. Right brain dominant individuals tend to have a wide focus and are sensitive to all their surroundings, rather than a narrow focus that is required for many tasks, especially academic learning. There is nothing bad about being right brain dominant if the left brain thinking systems are not too weak. Right brain dominant students tend to be more creative, artistic, out of the box thinkers, hands-on learners and socially adept. Many of the most successful and famous people in the world are right brain dominant. Unfortunately, our educational system caters to left brain dominant students who have a narrower focus, can memorize a lot of facts and are more organized and detailed. Fortunately, homeschoolers can cater to teaching methods for a child’s strengths. Children that are extremely hyperactive and impulsive often have a sensory filtering disorder and/or food allergies and sensitivities, an unhealthy diet, or may have medical issues. A sensory filtering disorder is the inability to unconsciously filter out the hundreds of bits of irrelevant sensory information gathered by our senses every second. This creates undue noise and confusion in all cognitive systems within the brain. The distracting noise and confusion cause feelings of frustration, irritation, and anxiety. Many children will attempt to operate at a noisier hyperactive level to try and override the crowded array of competing data within the brain. If a child can’t be calm and control their actions, then how would they be able to focus and concentrate on the task at hand. Therefore, most of these children will also have attention difficulties. Nothing is understood or learned without tapping into one’s own knowledge base. The richer an individual’s knowledge base, the more smoothly and efficiently the attention and learning process becomes. If you have virtually no knowledge about what you are trying to learn, it is almost impossible to focus and concentrate on the content. The creation of a good knowledge base also drives curiosity, which is a key motivator for attention. An individual’s attitude about the learning task determines the quality and quantity of attention devoted to the task. If the individual thinks they do not have the ability to accomplish a task successfully, attention will suffer. If an individual is anxiety-ridden, depressed, fearful or angry, attention will suffer. You may have noticed that I did not list ADHD. The reason is, it is not a cause for attention problems. It is a label placed on children that exhibit a group of symptoms of which attention difficulties is one. If you are interested in our programs, contact an Occupational Therapist on our provider network in your area. If there are no Occupational Therapists that provide our programs in your area, contact us at info@brainlaunch.com so we can assist you. If you think the information that we have provided is valuable, please spread the word.